The Moravian Contest Group is small and young, but very dynamic and bold. I visited their secluded contest site in the middle of September 2018. The location is in central Czechia, near Brno, a bustling town. This part of Czechia is actually called Moravia and, in the era of Czechoslovakia past WWII, comprised the OK2 call area. Some 25 years ago Czechia and Slovakia created separate countries and later, even the call area division was abandoned. Both OK and OL prefixes are used in Czechia and all figures in the prefix can be used. As long as I remember, there were many radio clubs in Czechoslovakia. The level of technical know-how in these clubs was the highest in the Soviet Bloc, with emphasis on VHF and UHF bands. 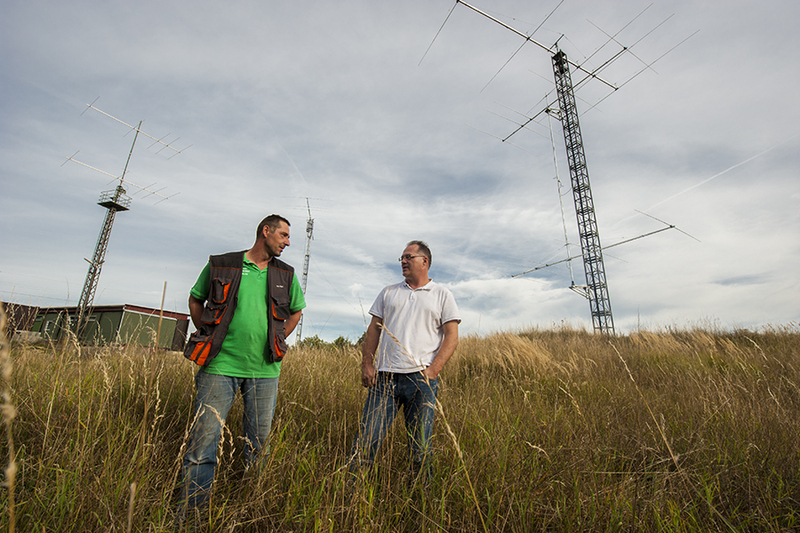 VHF Field Days were very popular with many clubs organizing excursions to mountain tops to increase the coverage. Three years ago it was an empty piece of wasteland. The idea of a contest site was conceived about six years ago, but the red tape procedures took long time and much energy. None in the group lives closer than 10 miles from here. There are 6 members in the team and they are all experts in different fields. This place is far from any residential area, surrounded by a river, a forest and fields. This is an example of a lot of hard work, passion and energy. 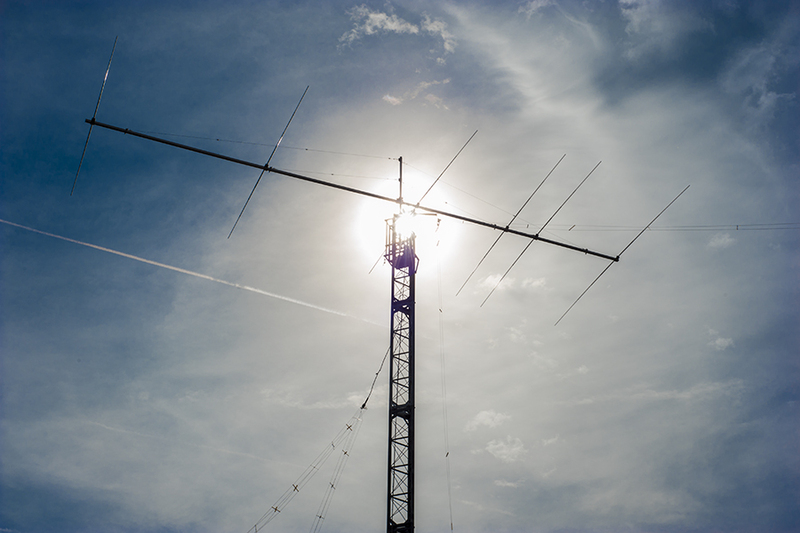 With people like the OK5Z group, the Amateur Radio is fit as a fiddle. 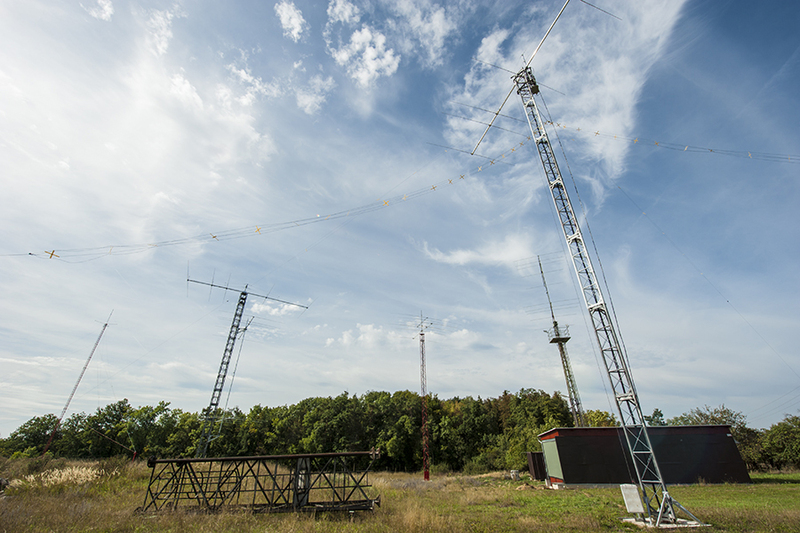 A view of the OK5Z HF contest site in September 2018. The landscape is changing here quite fast. The tower in the middle has a 4-element Ultrabeam for 14-28 MHz and above it, a 7-10MHz array with two elements on each band. 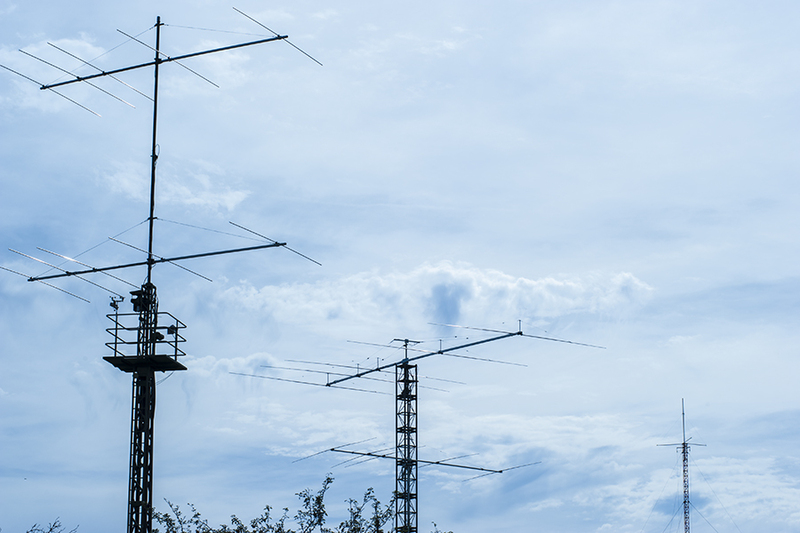 From left - the 1.8 MHz vertical, the 14 MHz OWA Yagi on top and 2x5 elements for 21 MHz, next to the house a 28 MHz stack and on the right the 6-element 21 MHz long stick. 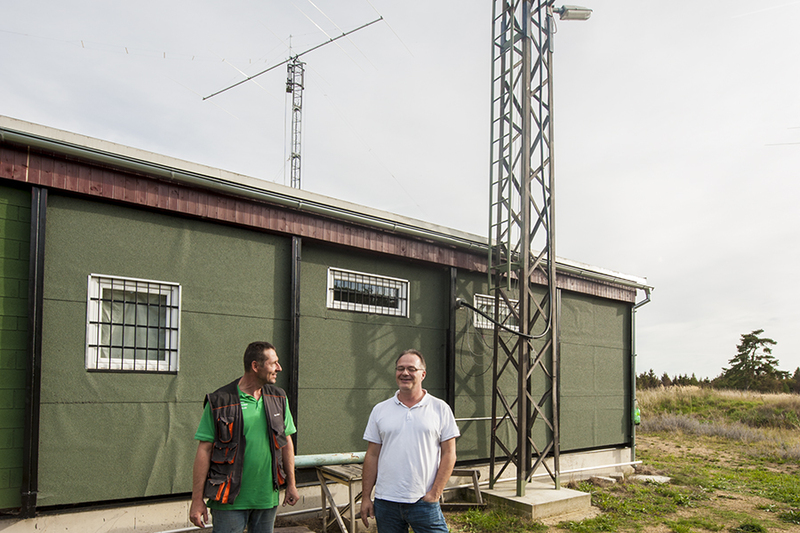 This station was one of the OL8HQ network in 2018 IARU HF Championships, while OK2ZI and OK2ZC were fighting at WRTC in Germany. I was lucky to catch two members of the OK5Z team on the spot. Left, in white shirt - Karel, OK2ZI - right, in green shirt - Ruda, OK2ZA. Behind them, the 28 MHz stack and the radio shack. This was in the middle of the week and they are not retired, as I am. 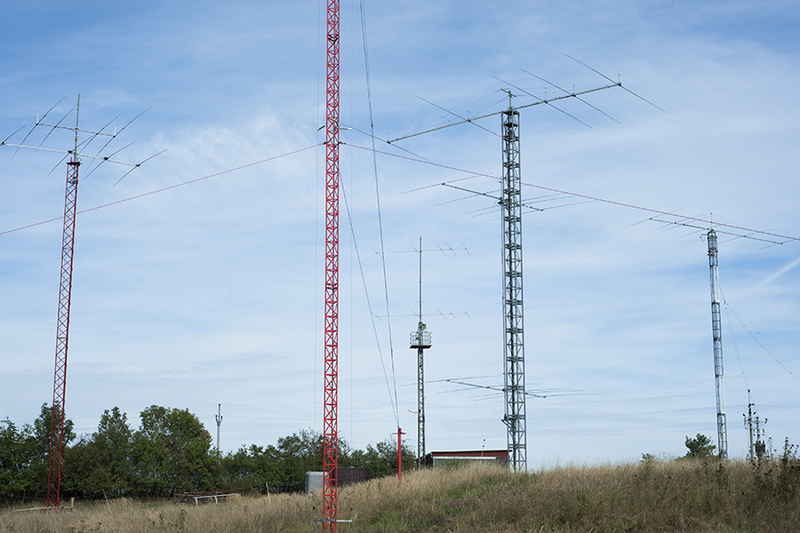 A view from the other side: the 28 MHz 2x5 element stack, the tower in the middle with the 14 MHz OWA 5-element Yagi and on the right the top of the 1,8 MHz vertical. This is the 21 MHz 6 element killer antenna and a broadband inverted dipole for 3,5 MHz. Ruda, OK2ZA on the left and Karel, OK2ZI do one of the regular inspections of the cables and radials in the high grass. 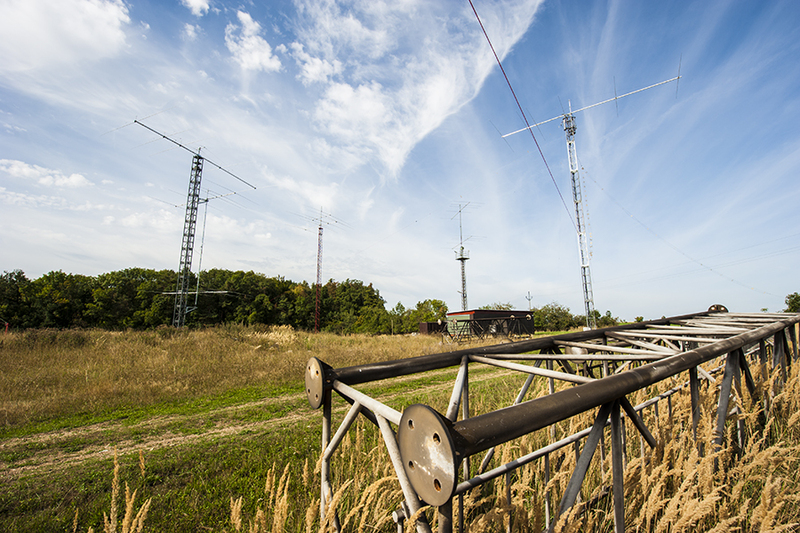 On the right, the tower carrying the 14 MHz Yagi and a stack of 2x5 element Yagi of YU7EF design for 21 MHz. Ruda does most of the tower climbing, while Karel is the technical support guy. Ruda, OK2ZA and Karel, OK2ZI in front of the radio shack. This was built from scratch. It turned out to be too small for storage for the future antenna projects and other stuff. Check the http://www.qrz.com/db/OK5Z page for more information and links to illustrated blog, as well as their FB page. Inside the radio shack - Karel, OK2ZI points to the main computer of the club with fibre-optic connections to all six operating positions. There are six team members, six bands used in the contests and six operating positions. Ruda, OK2ZA, in green shirt is responsible for the Internet and all data distribution inside the building. Mind the professional installation of all cables. 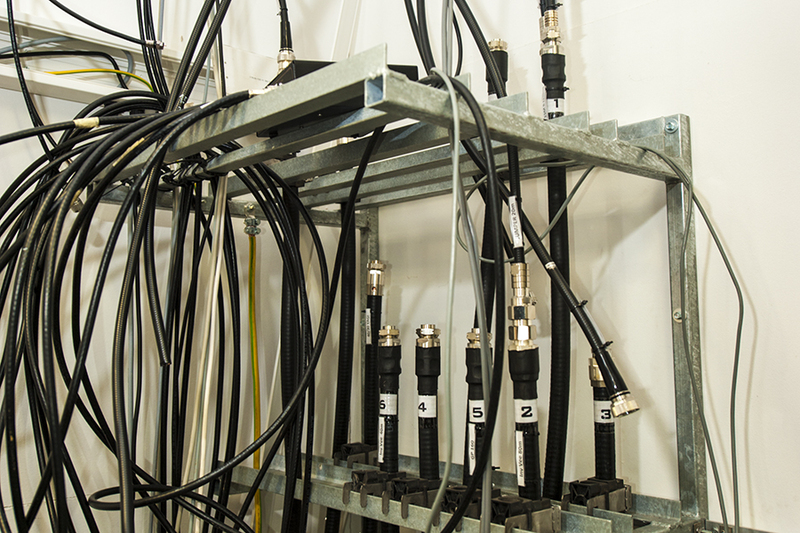 All antenna cables are of high-grade and professionally installed. Here they can be interconnected to individual operating positions. Basically, there is no expensive radio equipment stored in the radio shack. They bring all transceivers and amplifiers for each contest. This set-up is used for testing and was removed when the guys left the site. 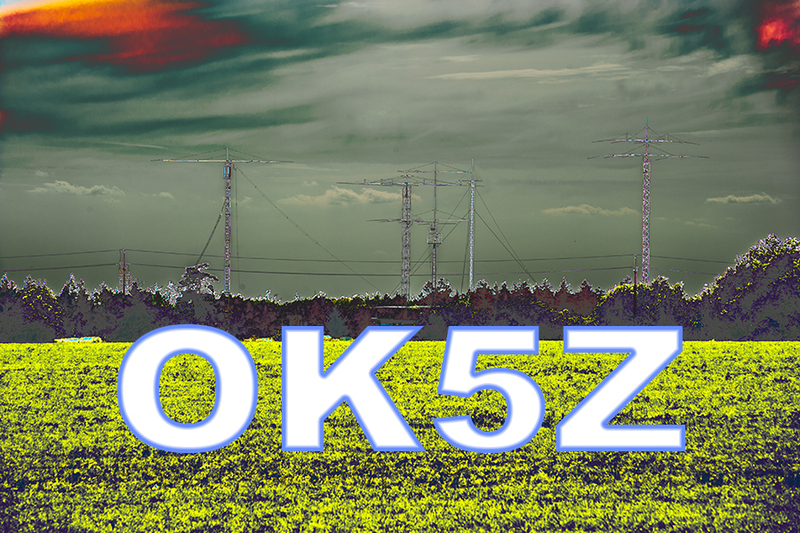 Three members of the OK5Z team are right now - the second half of September 2018 - on their way to a 3-week long DXpedition to Mayotte Island, north of Madagascar, where they will use the call sign TO6OK. They are OK2ZA, OK2ZC and OK2ZI. The rest of the TO6OK team are from Bohemia, the western part of Czechia, previously OK1 call area. Ruda, OK2ZA turns the dial of an invisible transceiver. Each operating position has 2 computer monitors. Ruda used to play with Citizen Band radio before he discovered Amateur Radio. His own station is quite impressive. Karel, OK2ZI wants to demonstrate that is able to use the traditional telegraphy, not only computer generated. Karel is one of the main initiators of the OK5Z group. 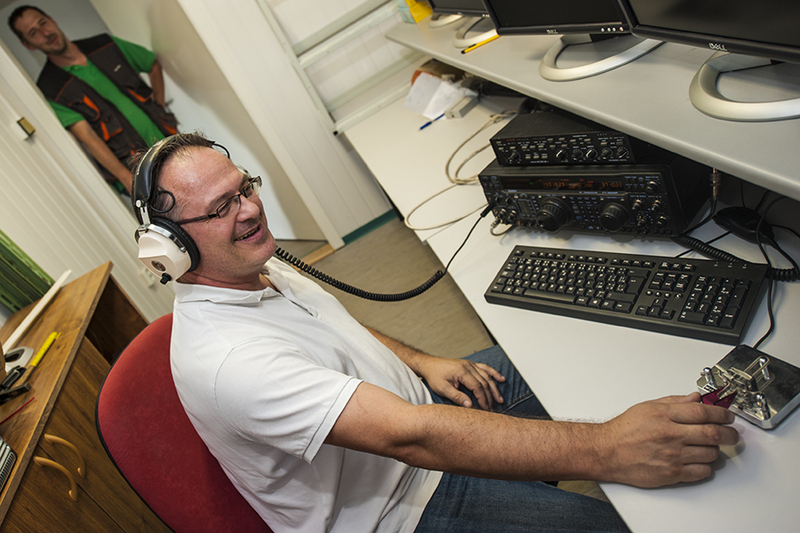 He is 48 years old and got interested in Amateur Radio through computers. His first call sign was OK2XTE in 1993. Packet Radio on VHF was his main interest. 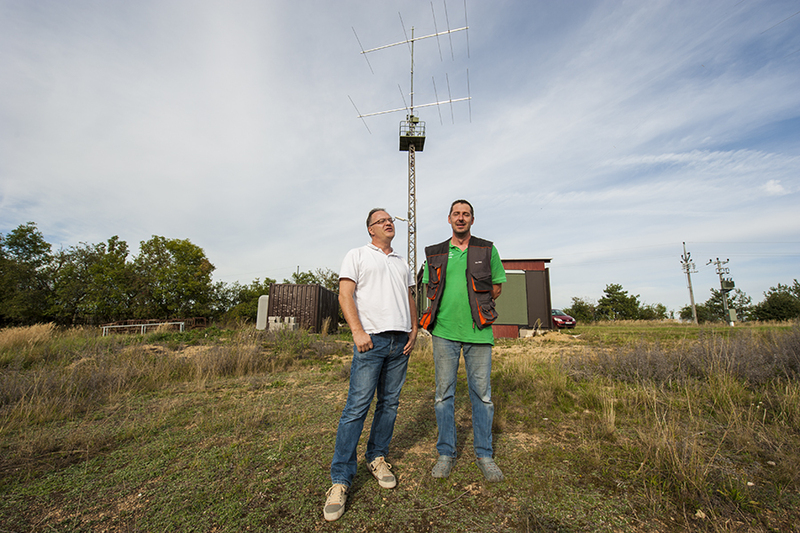 Two years later he passed the All Bands licence test and when he got 250 DXCC entities confirmed, he could change his call sign to OK2ZI in 1998. Between 1998 and 2001 Karel was participating in the IARU Region 1 VHF/UHF working group. Right now he is on the DXCC Honor Roll with 331 entities. Contesting being his passion, he participated in the WRTC2018 in Germany, together with his brother OK2ZC, as Y87K. 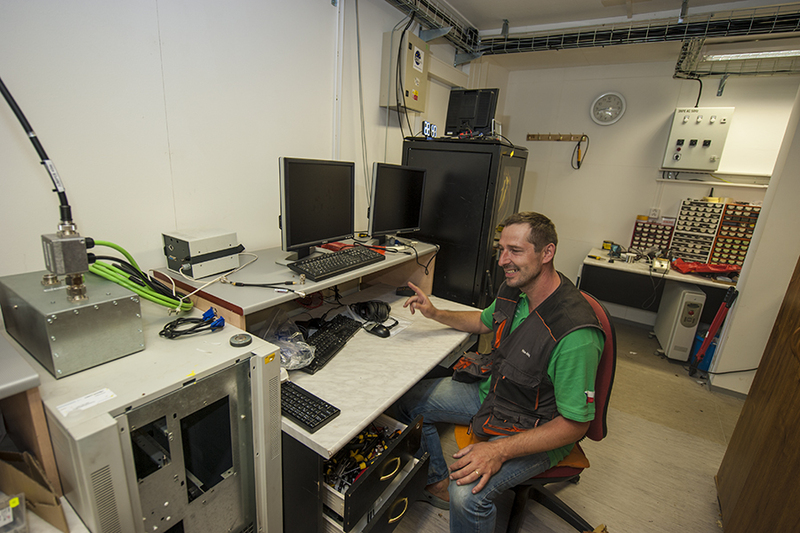 When entering contests as Single Operator from the club, Karel is using the call sign OK7Z. This man is a computer expert working in a nuclear power station and knows all spheres of Amateur Radio inside and out. Talk about competence! Clearly, there are some more projects on their way. The wide tower is going up any day and it will most likely accommodate a large 7 MHz array. This band is very important in the period of lower solar activity. Many of the old radio clubs in Czechia are diminishing their activities. Clubs that were started 50 or 60 years ago simply do not have enough new members. Still, quite many clubs and groups are active, but the call sign system is confusing. All these short call signs are easy for a computer to distinguish, but I find it difficult to remember if I already worked OK7Z, OK5Z, OL7Z or OL3Z. I personally more liked the system with call signs which were easier to associate with persons or groups, without the help of a computer. For me, Amateur Radio was communication between people - today it looks more like communication between computers. That is why I like to meet real people face to face, from time to time. Fifty percent of my ethnicity is from the area of this station. While it is unlikely that I will ever see this station directly, I look forward to working them in many future contests.